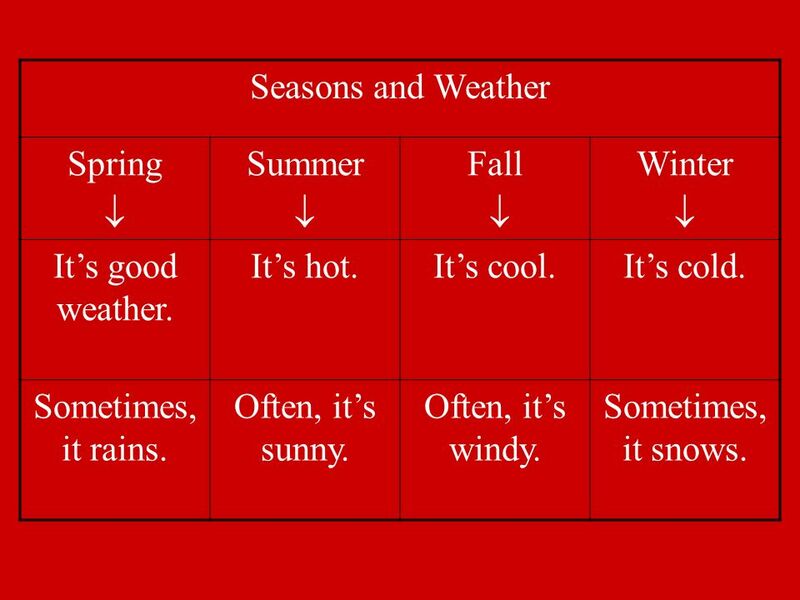 3 Seasons and Weather Spring Summer Fall Winter Its good weather. Its hot.Its cool.Its cold. 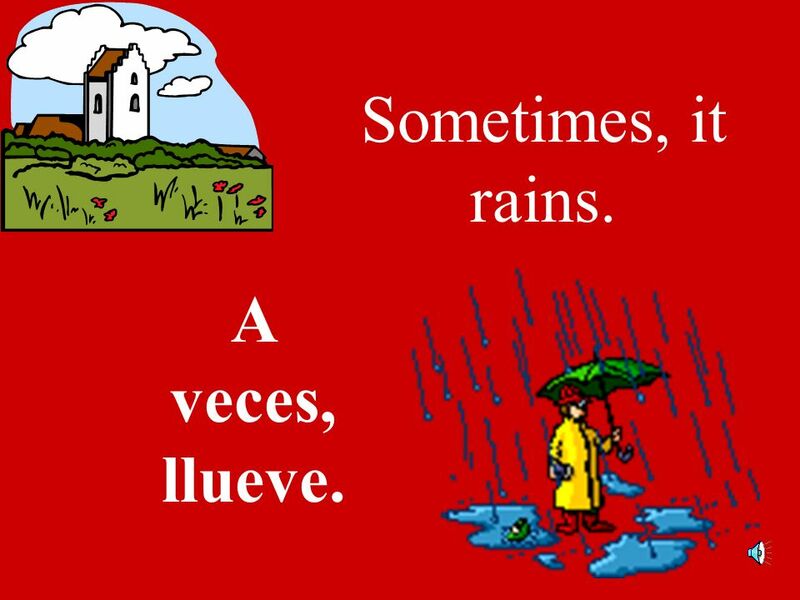 Sometimes, it rains. 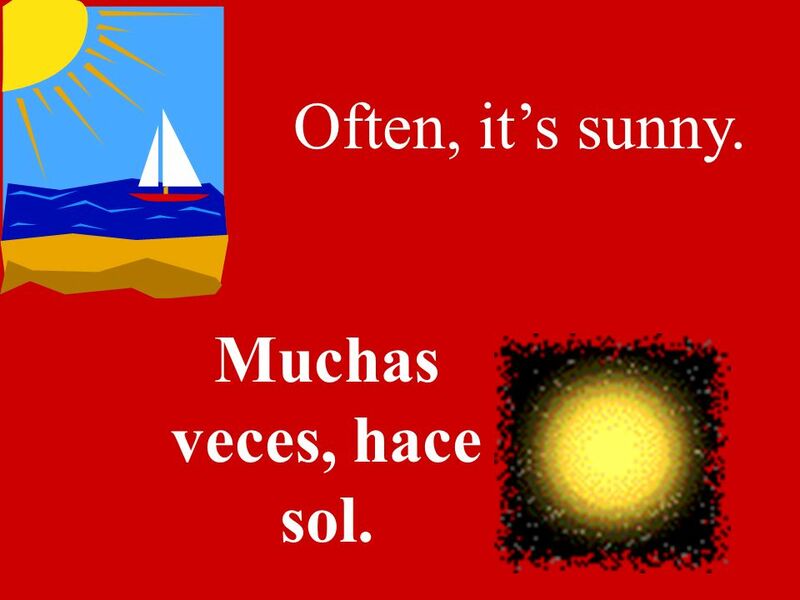 Often, its sunny. 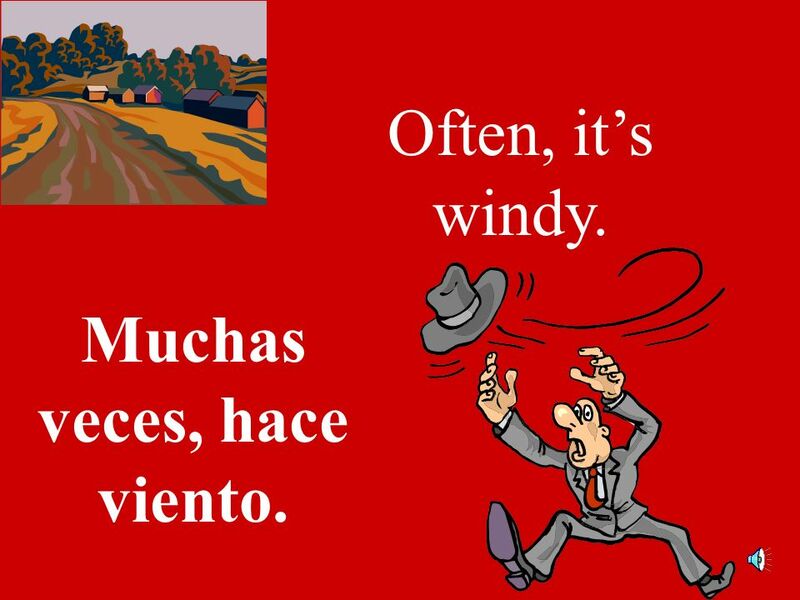 Often, its windy. Sometimes, it snows. 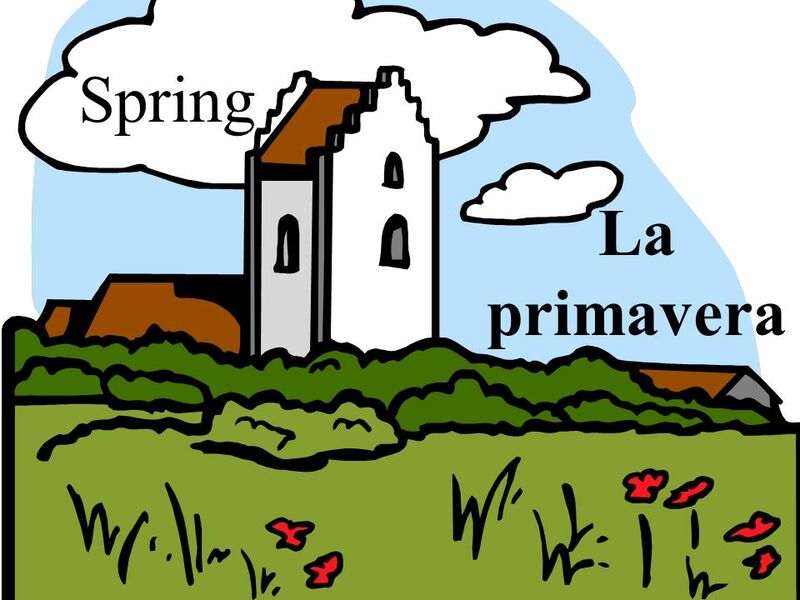 5 In spring, its good weather. 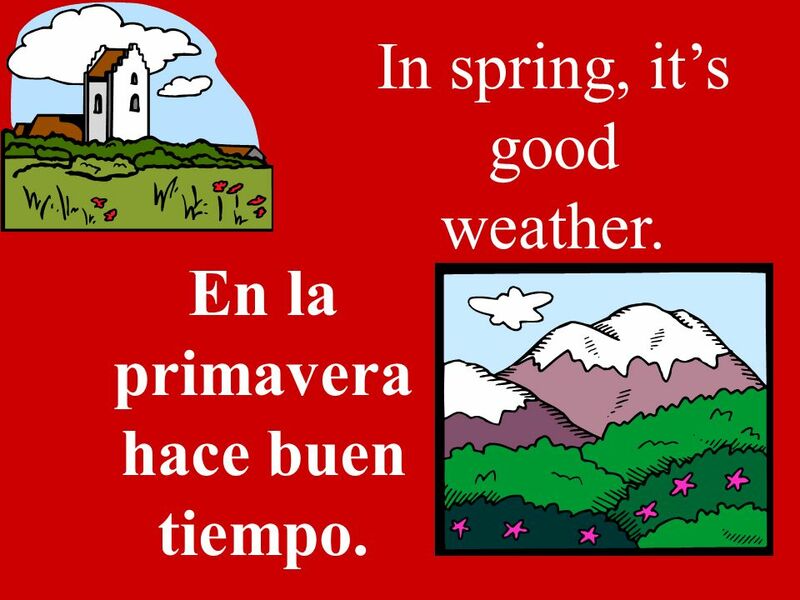 En la primavera hace buen tiempo. 6 Sometimes, it rains. 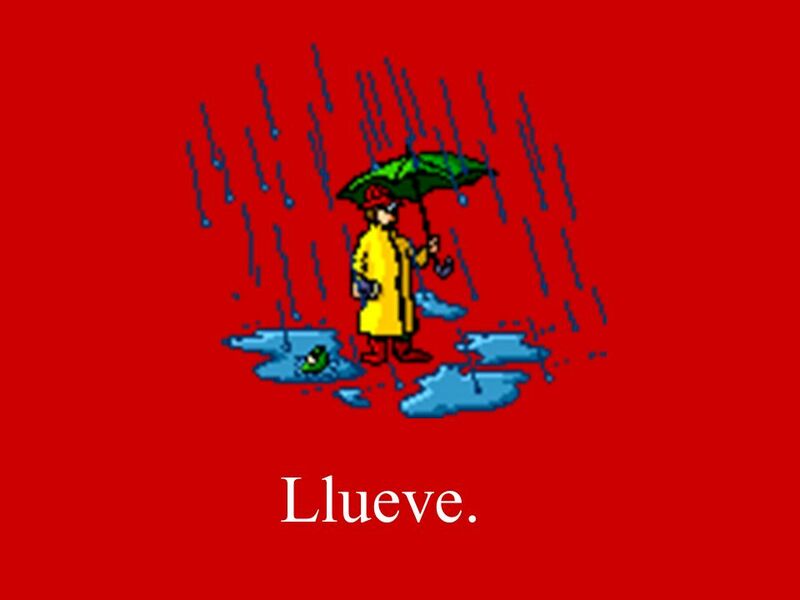 A veces, llueve. 8 In summer its hot. 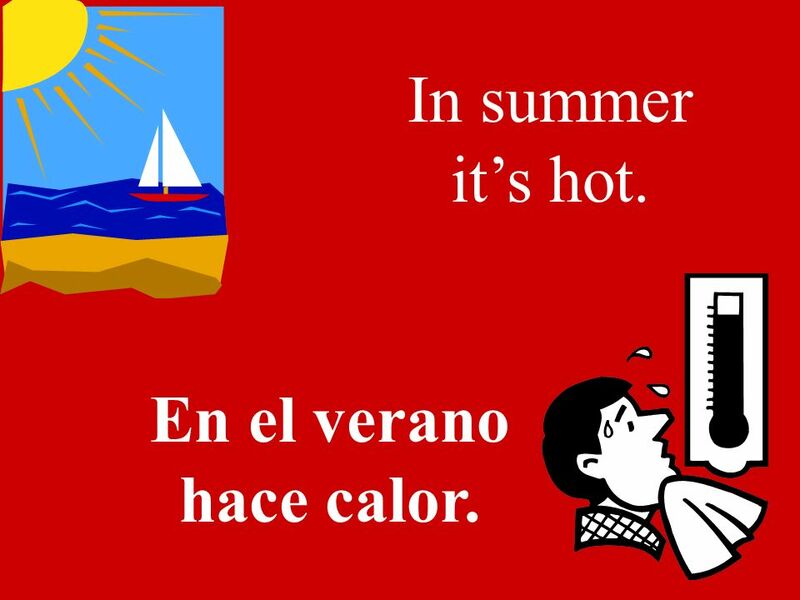 En el verano hace calor. 9 Often, its sunny. Muchas veces, hace sol. 11 In fall, its cool. 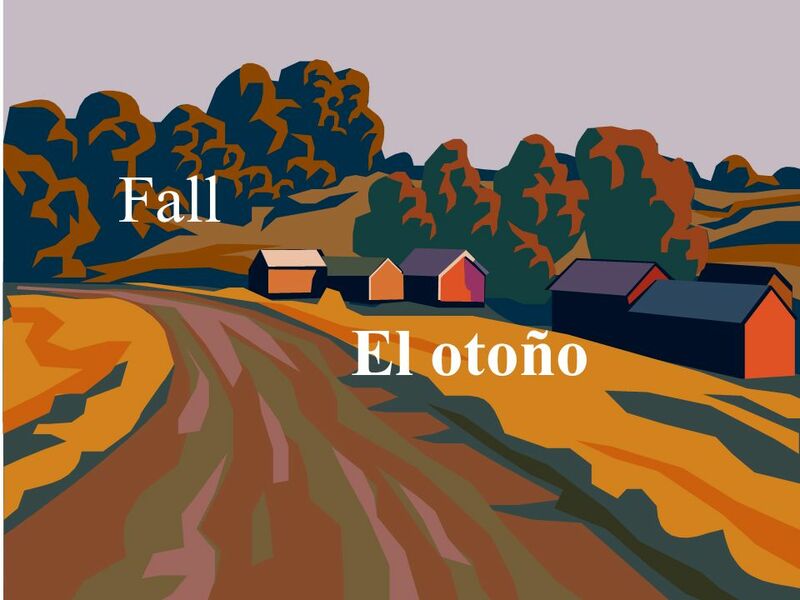 En el otoño, hace fresco. 12 Often, its windy. Muchas veces, hace viento. 14 In winter its cold. 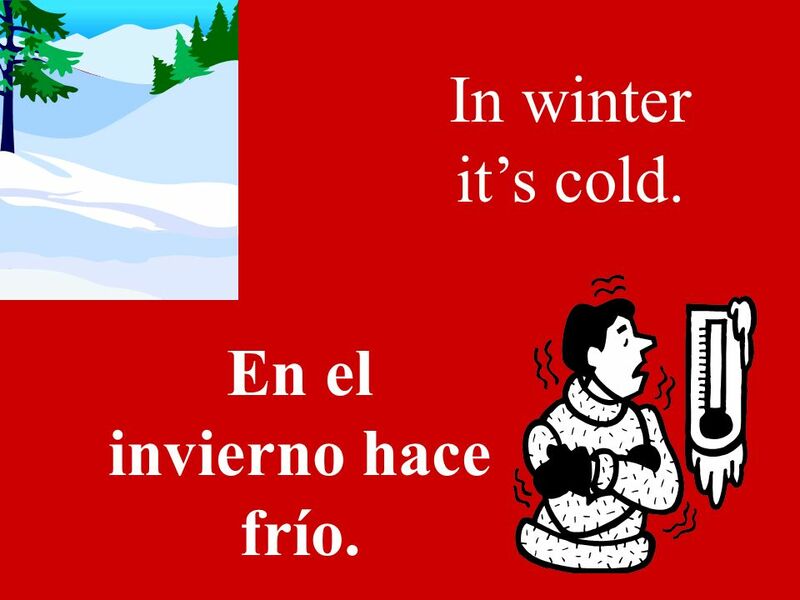 En el invierno hace frío. 15 Sometimes, it snows. 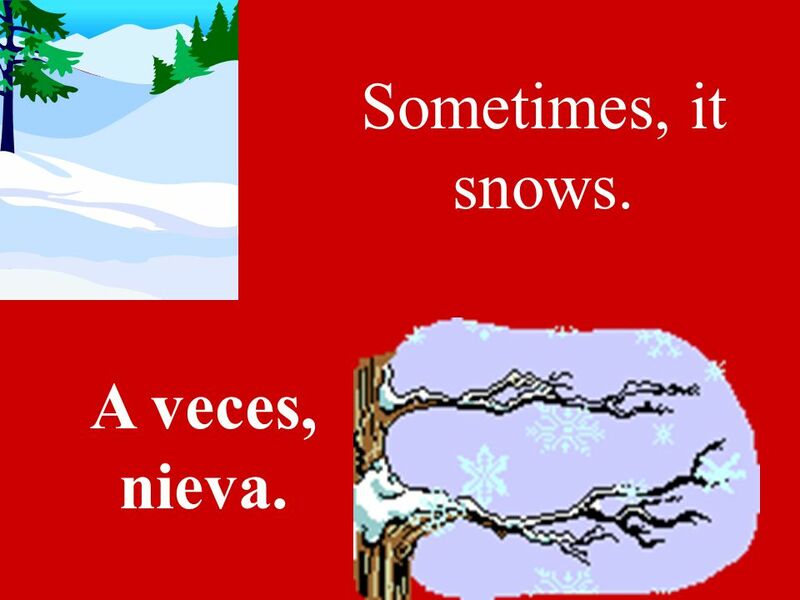 A veces, nieva. 16 Whats the weather like? 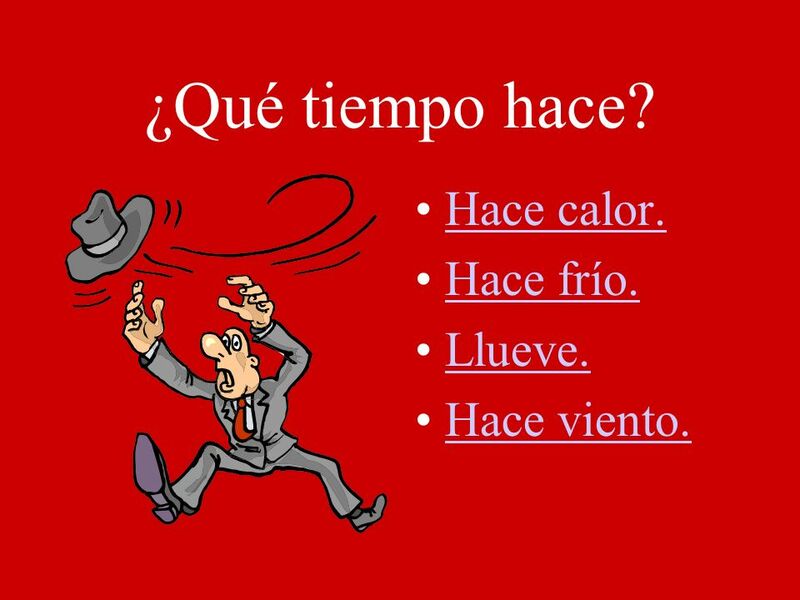 ¿Qué tiempo hace? 26 ¿Recuerdas? 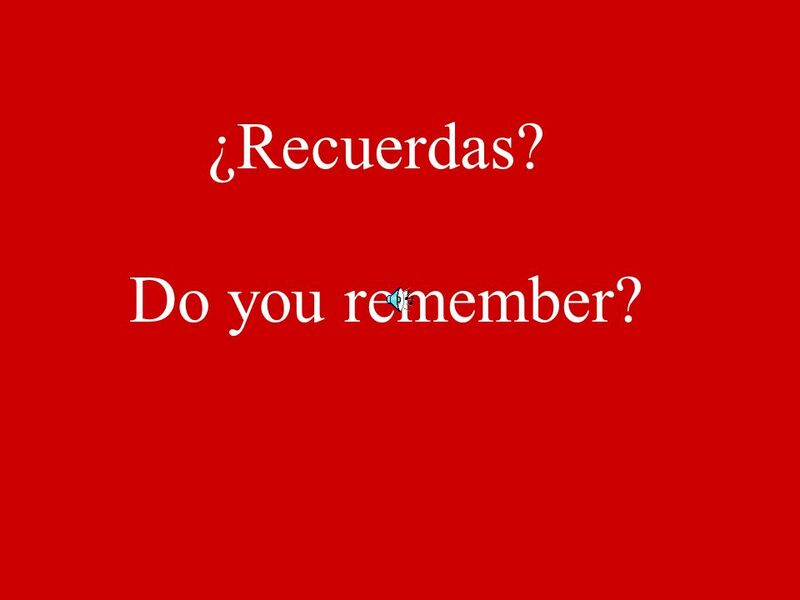 Do you remember? 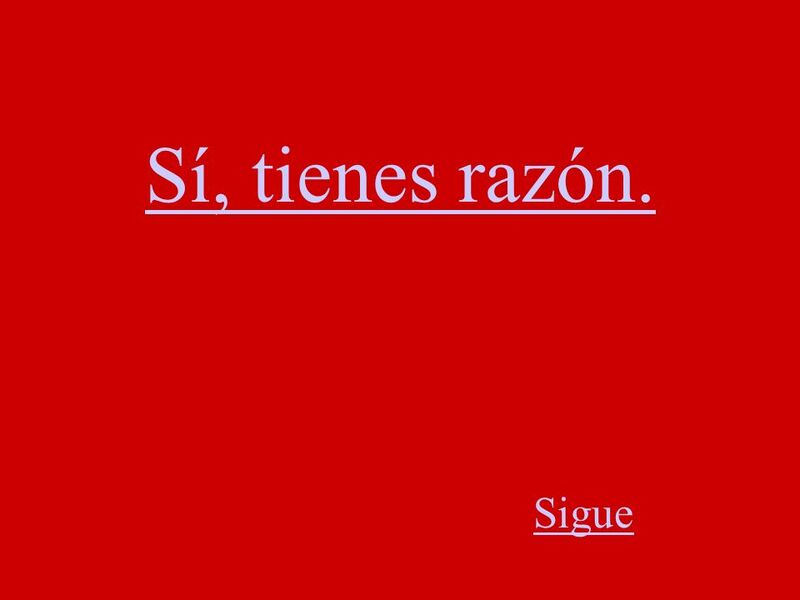 27 ¿Qué tiempo hace? 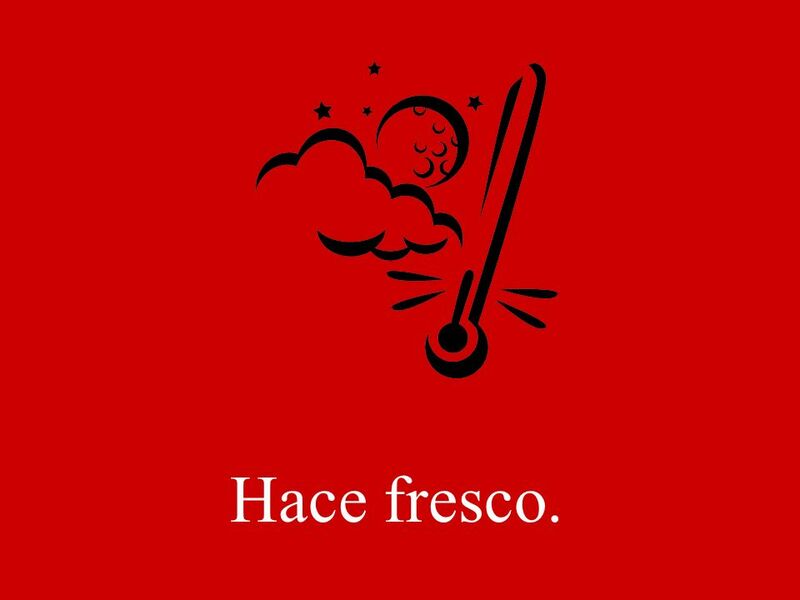 Hace calor. 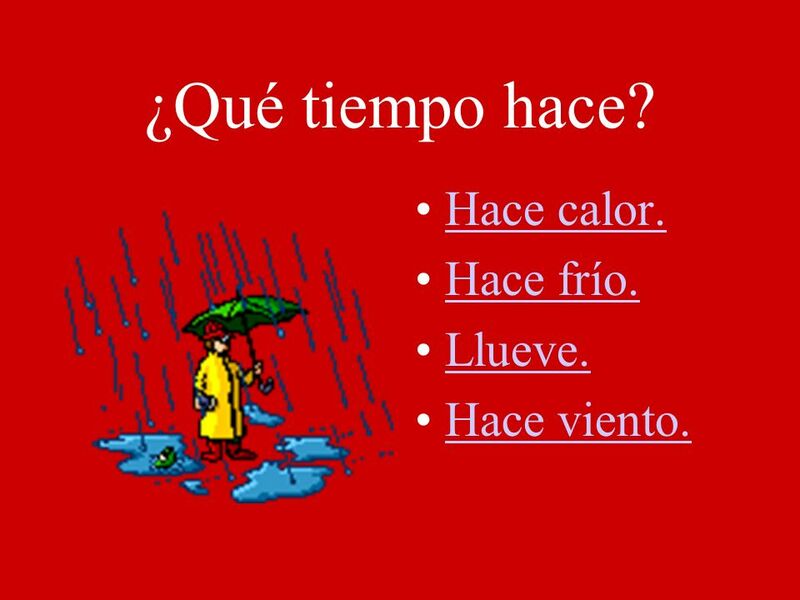 Hace frío. Llueve. 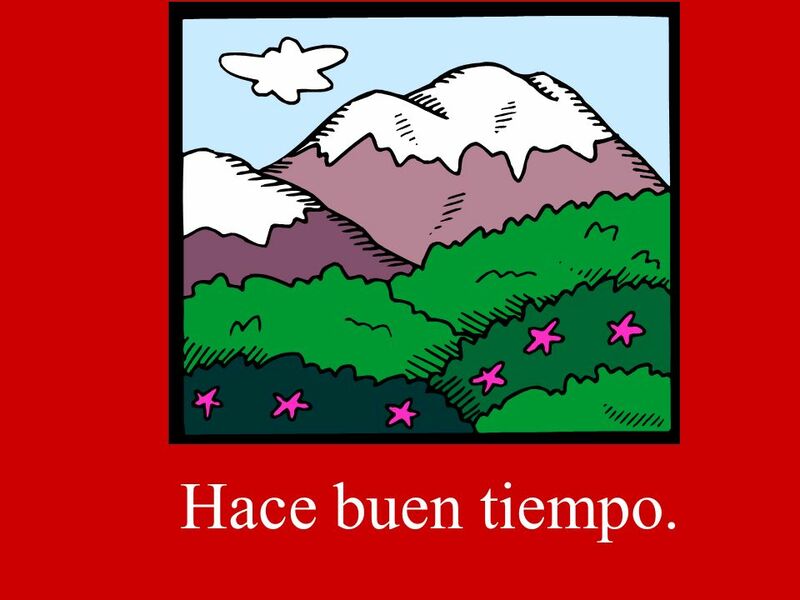 Hace buen tiempo.Hace buen tiempo. 28 ¿Qué tiempo hace? Hace calor. 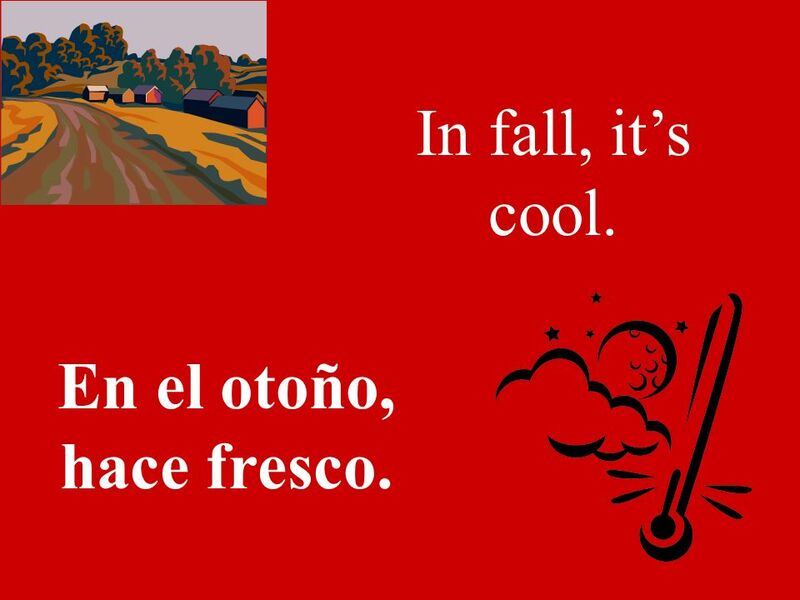 Hace frío. Llueve. Hace viento. 29 ¿Qué tiempo hace? Hace calor. 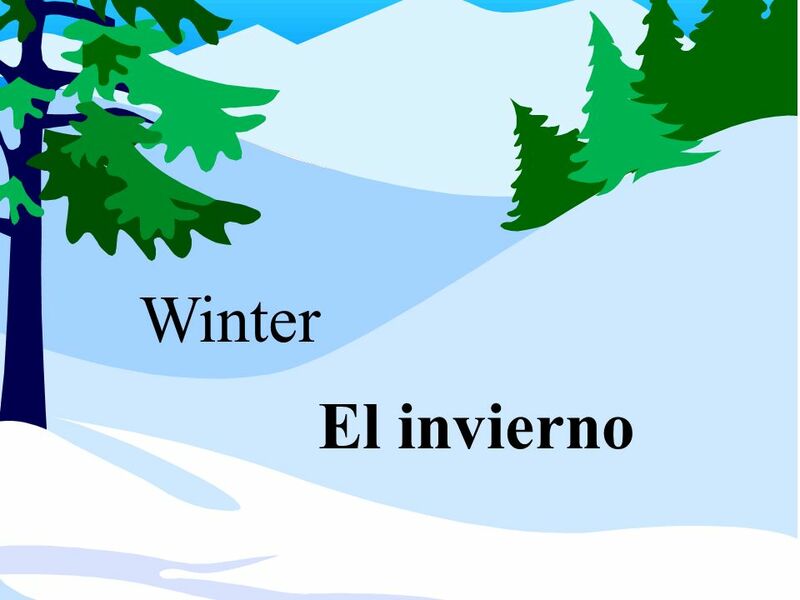 Hace frío. Llueve. 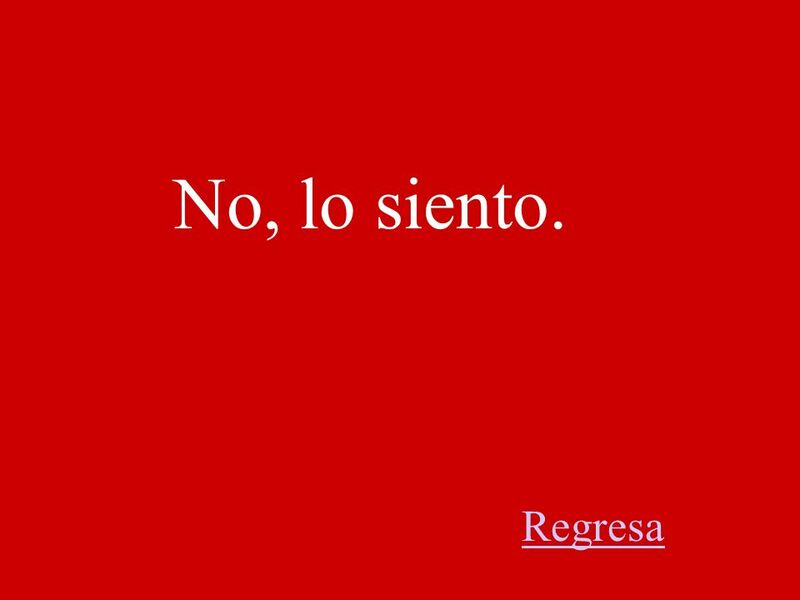 Hace viento. 30 ¿Qué tiempo hace? 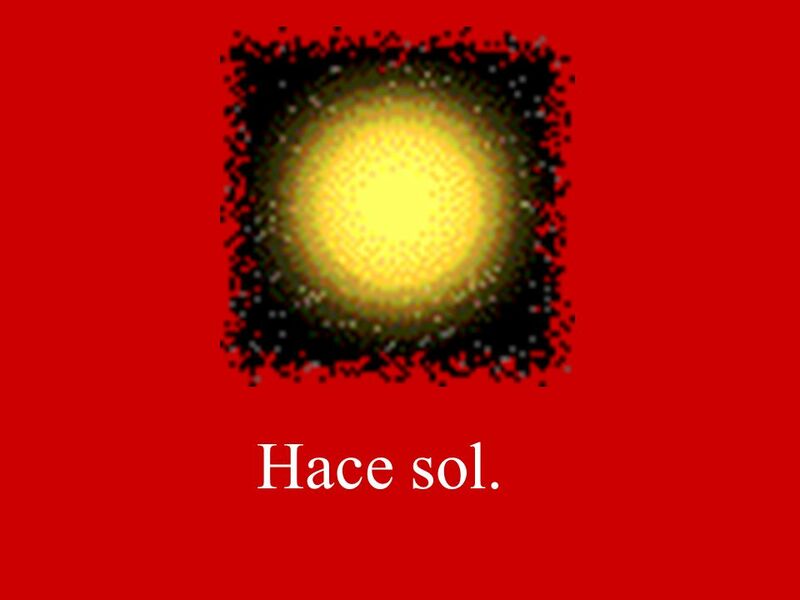 Hace sol. 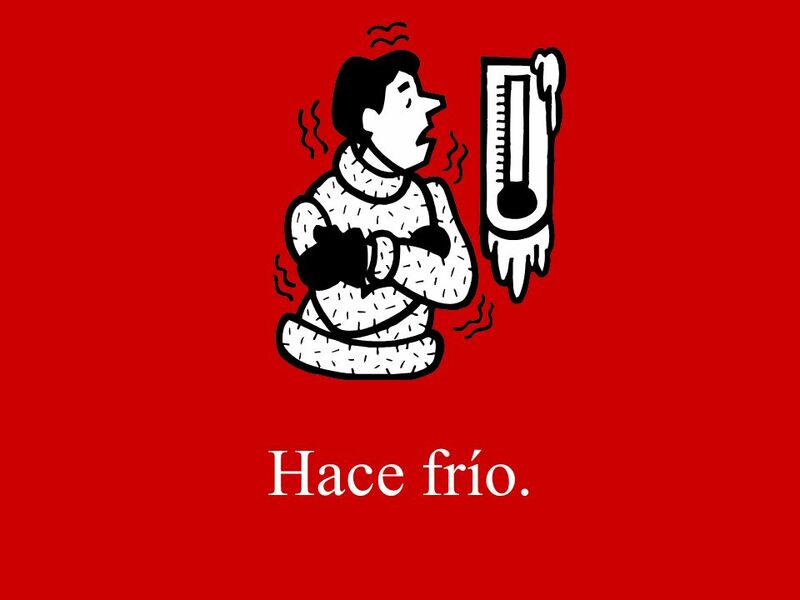 Hace frío. Nieva. Hace viento. 31 ¿Qué tiempo hace? Llueve. 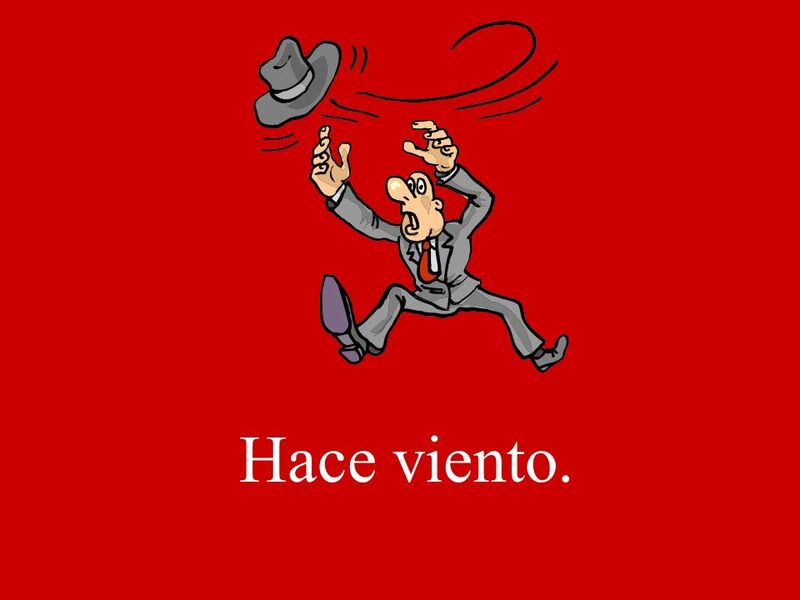 Hace viento. 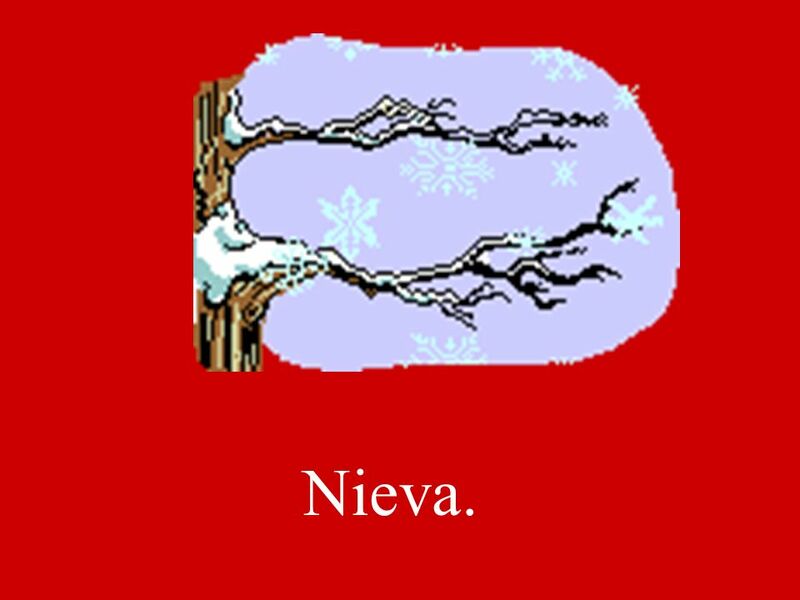 Nieva. 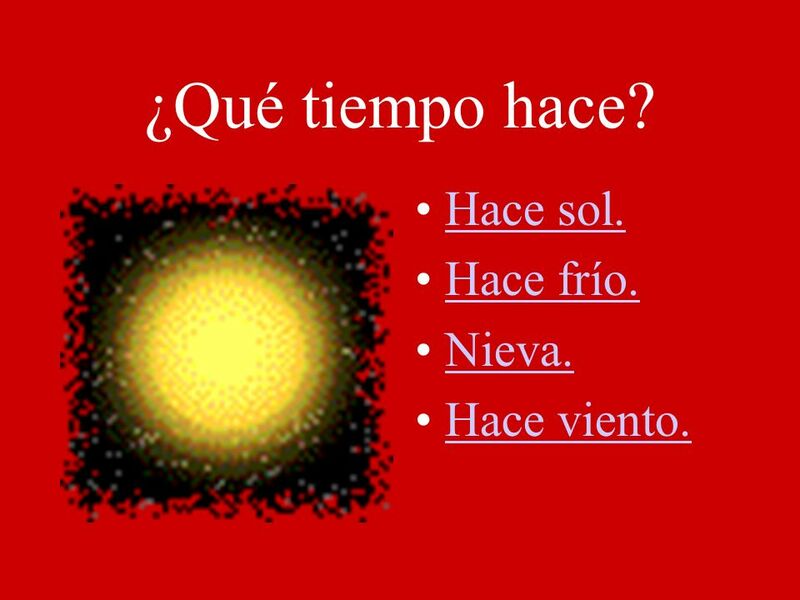 Hace buen tiempo.Hace buen tiempo. 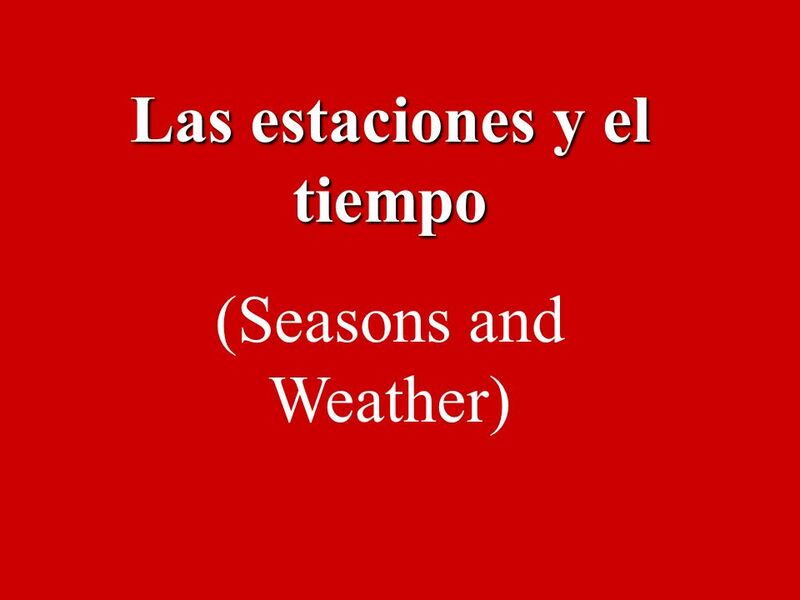 Descargar ppt "Las estaciones y el tiempo (Seasons and Weather)"
Las estaciones y el tiempo The seasons and weather in Spanish Español 1 El 26 de agosto de 2013. 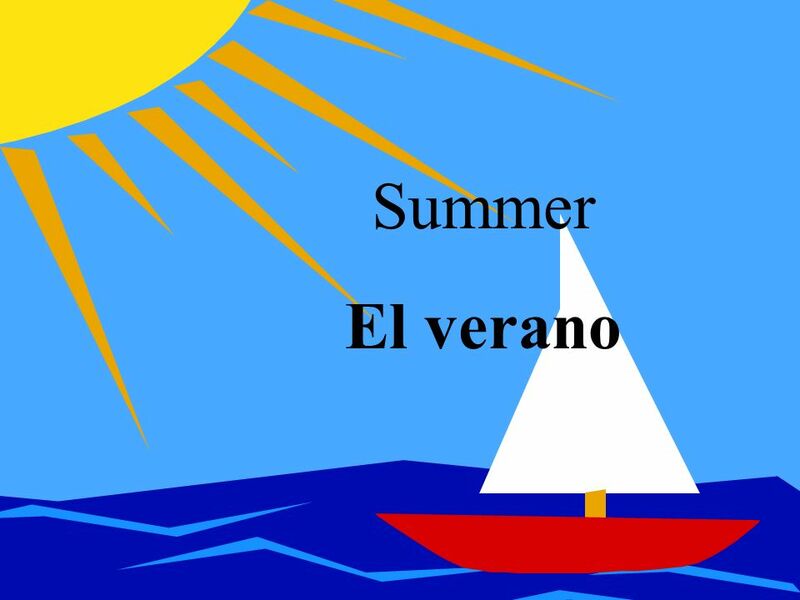 Hagan Ahora Put the months of the year into the correct season. Winter El invierno Spring La primavera Summer El verano Fall El otoño. 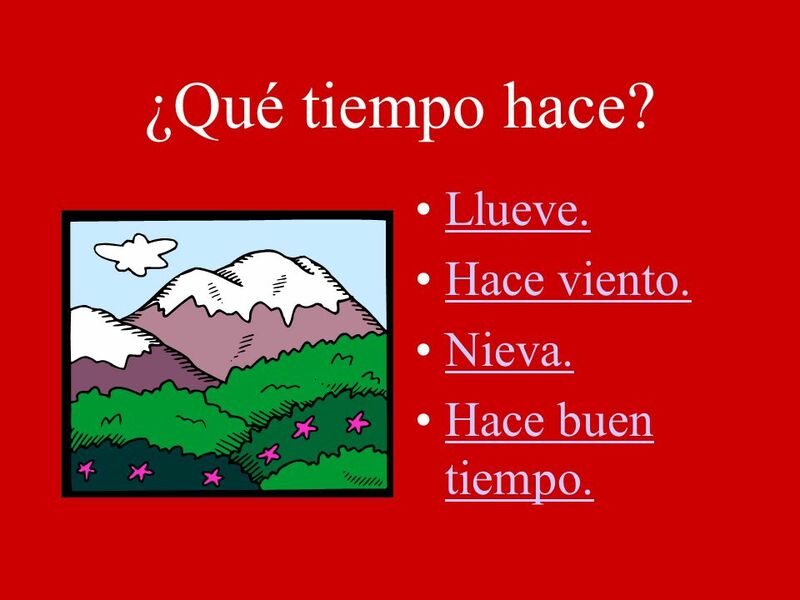 ¿Qué tiempo hace? 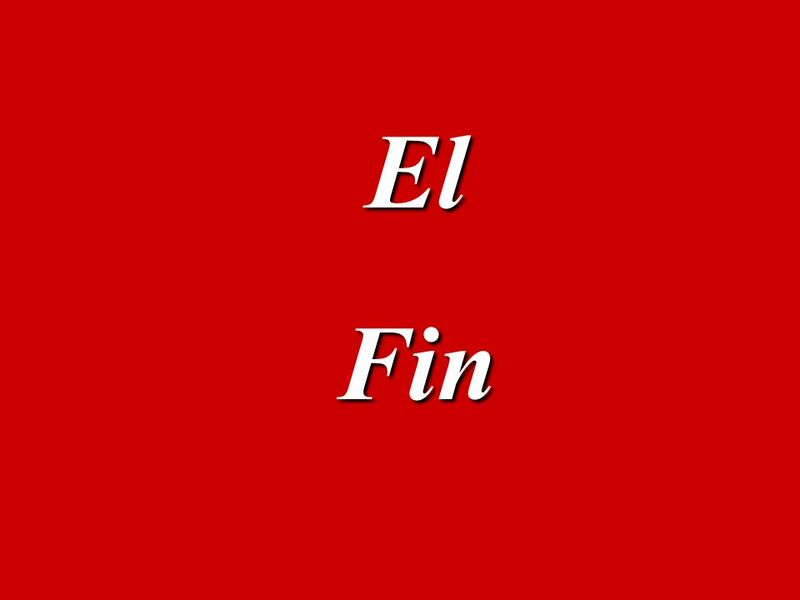 Capítulo 3, Palabras Nuevas II. 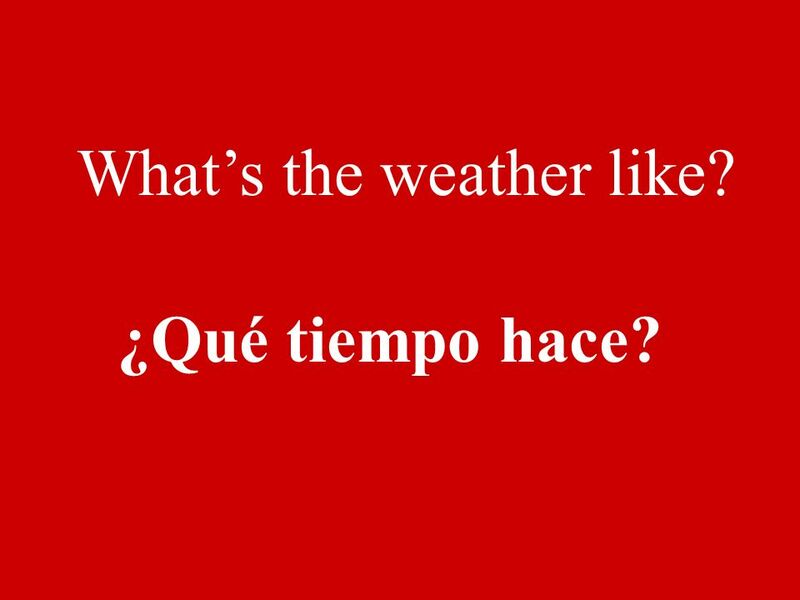 EL TIEMPO THE WEATHER. 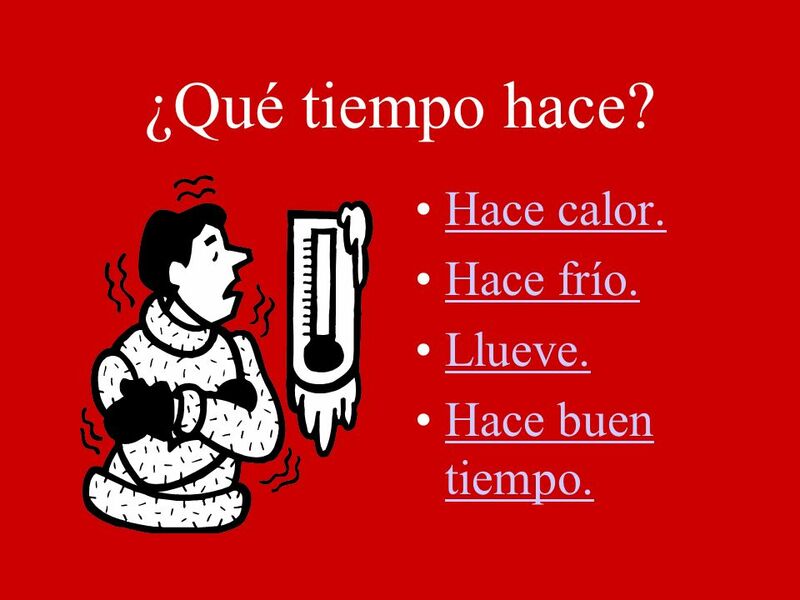 Qué tiempo hace? 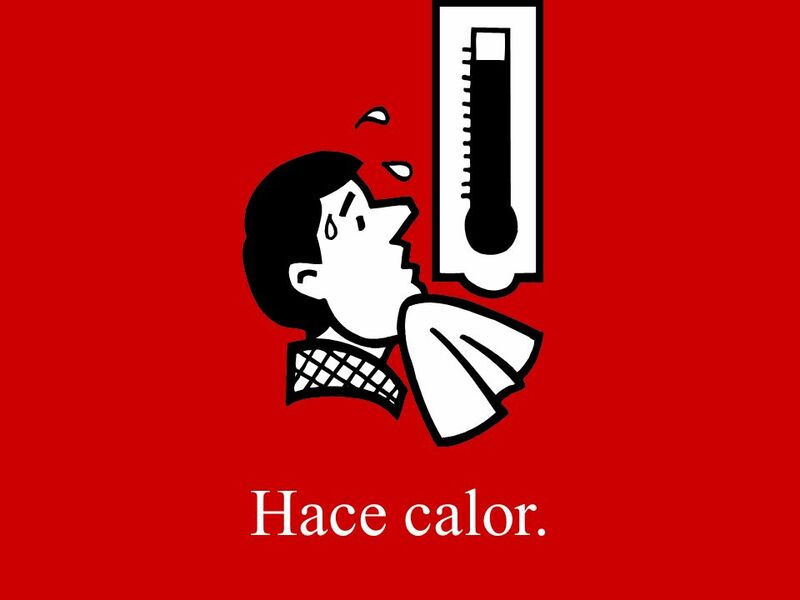 HACE CALOR.